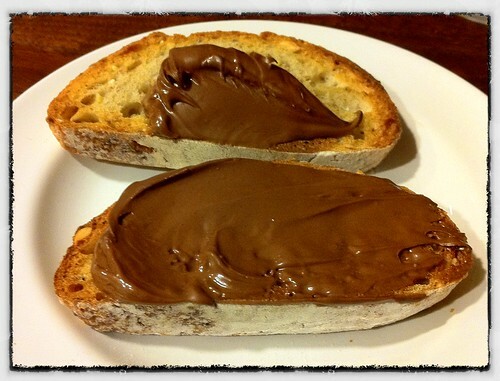 Toasted bread + Nutella = the perfect end to my quasi-vegetarian meal. Tomorrow, beef cooked in beef fat and bacon ice cream. Watch out heart muscle!